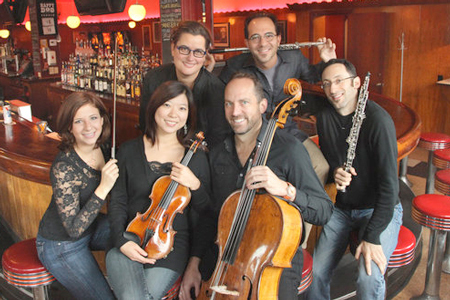 Ensemble HD, a group of Cleveland Orchestra musicians and friends headed up by principal flute Joshua Smith, garnered a lot of publicity a few years ago when the musicians played at Happy Dog in Gordon Square — a tavern famous for its hot dogs with fifty toppings. 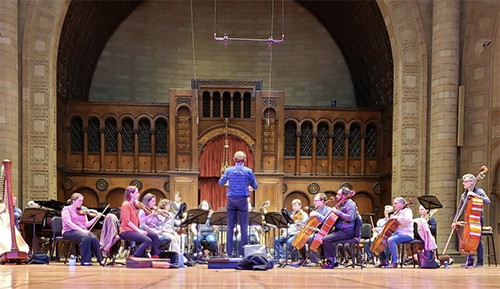 The ensemble will be featured on the next Rocky River Chamber Music Society concert on Monday, February 1 at 7:30 pm at West Shore Unitarian Universalist Church. 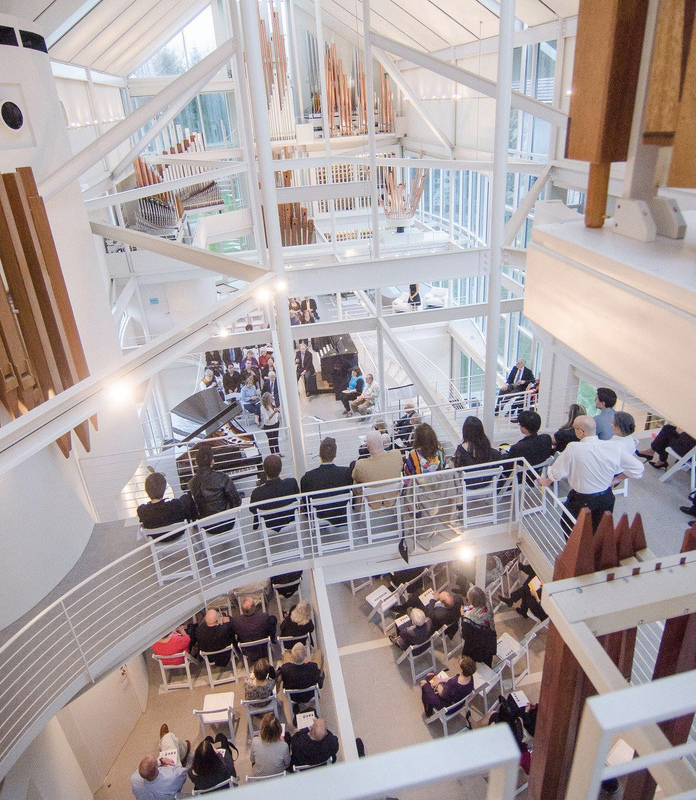 For that free concert, Smith will join fellow Ensemble HD members (oboist Frank Rosenwein, violinist Amy Lee, violist Joanna Patterson, cellist Charles Bernard, and guest pianist Christina Dahl) in music that dates from between the 20th century’s World Wars. We caught up with Joshua Smith in Miami, where the Orchestra was continuing its residency in the sunny south, to ask about Ensemble HD’s forthcoming program. Daniel Hathaway: What launched the idea for this concert? Joshua Smith: A couple of things. That time period, from the early 1900s until the 1940s, has always held some of the most fascinating history for me. It’s a huge cultural apex where all the disciplines in art, politics, and history start affecting and inspiring each other. It’s my very favorite time period to play from, to read about, to look at. I just adore what was happening at that time. As a practical way to answer your question, Ensemble HD developed in a tavern, and now we’re being invited to play on normal, straight-up chamber music series. I asked myself, ‘How can we take this bar experience and flip it so we can perform in a chamber music venue?’ One of the words that jumped out at me was “cabaret.” That suggested the time period, and I just went from there. The program is pretty tightly curated when you think about that era. There was a ton of stuff going on and some really amazing music being composed, especially chamber music. It wasn’t difficult to think up a list of pieces I wanted to perform once I put those boundaries on it. DH: Janáček, Berg, Reger, Britten, Holst, Varèse, Debussy, and Kodály: it would be fascinating to gather all those composers at a cocktail party and listen to their conversations. DH: Let’s talk about the individual works. You’re beginning with Leoš Janáček’s Pohádka for Cello and Piano. JS: I think Janáček finished his first version of this fairy tale in 1912, so we’re ramping up toward World War I. The concept that begins to take hold with all the composers we’re talking about here is that one of the ways to represent what’s going on in the political and cultural context is to express your own identity and to dig into the idea of what it means to be Czech, or Hungarian, or Eastern European, or Slavic. Janáček was certainly one of the more interesting proponents of finding a way to express a national identity. This happens to be an early-ish piece — his career spanned both World Wars — but it was published between the wars. DH: Refresh my memory — what’s the date on Alban Berg’s Piano Sonata, Op. 1? JS: 1910, so it’s the earliest of the works on the program, and the first piece that Berg had published. I think Berg is the perfect example to prove that what was going on during this period did affect these composers. He figured out how to combine Romanticism and that newly-minted form of Expressionism in a way that still feels special and current. DH: And then there’s Max Reger, a composer I would pigeon-hole in the 19th century. JS: Indeed, but the Suite in g for Solo Viola was written in 1915. 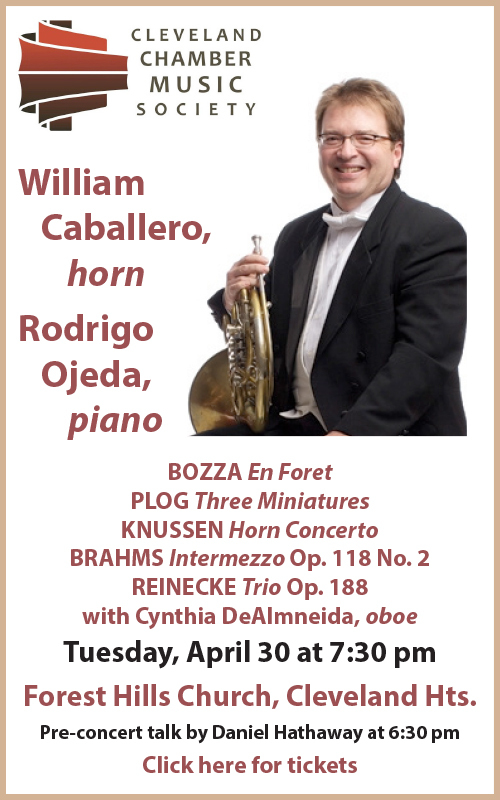 Reger’s the guy you think about as backward-looking, but he was concerning himself with form and architectural rigor of the German High Baroque, and how to express that in a new, harmonically modern way. DH: His music is often so thick and dense. It will be fascinating to hear a piece of his for solo viola. JS: Exactly. I can’t say I love all of Reger’s music, but this piece is really arresting and beautiful. 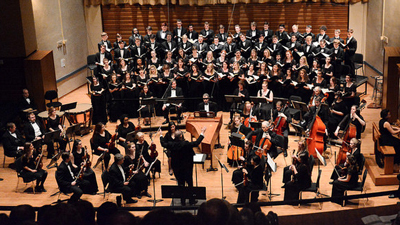 It’s also passionate — something that’s hard to ascribe to Reger. DH: I think of him as the ultimate stodgy composer of the 19th century. JS: He’s like nouveau-Telemann in a sense. But what’s kind of cool about Reger is that he’s expressing a neo-Baroque style in a way that’s not at all self-conscious. Stravinsky did the same thing a bit later, but his music winks at you and says, ‘Hey, look, this is baroque style. See how cute it is.’ Reger doesn’t do that, for sure. DH: I’m not familiar with Benjamin Britten’s Temporal Variations for Oboe and Piano. Is it one of his posthumous publications? JS: No, it’s just a really early piece. ‘Temporal’ has a couple of definitions, one of them meaning ‘worldly.’ It’s connected to the concept of time, but my gut tells me that he’s using the word to mean ‘timely,’ working with the idea of current events as his springboard for the piece. It’s from 1936, right in the middle of this crazy time period. You can clearly hear a military march, and one movement depicts people who were wounded in the war, waltzing. There’s a polka that gives you the taste of a Berlin cabaret. Britten was a pacifist, and this piece definitely addresses the horrors of war, but there is a bit of optimism. 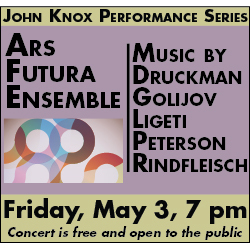 DH: Then you’re getting into some better-known pieces by Holst, Varèse, Debussy, and Kodály. JS: Gustav Holst’s Terzetto for Flute, Oboe and Viola came up because it’s perfect for our combination of instruments, and when I listened to it, I really was taken aback. I didn’t expect to like it very much. Put The Planets in front of me, and I’ll run screaming from the room. But this is a mid- to late-career piece for him, written after he had become famous and had moved out into the country to take care of himself because his health wasn’t great. 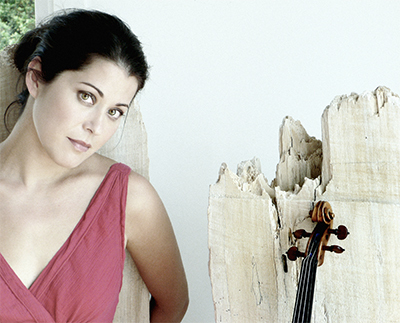 It’s charming and it’s his most highly-regarded piece of chamber music. I hear it in the same way as I do certain Debussy pieces. It has very simple, very placid melodies developed in a way that feels unique to Holst, and his treatment of melody resembles what you hear in The Planets. He did with the English language what Janáček and Kodály were doing with Czech and Hungarian: taking his home culture and turning it into melody. When composers regard Holst as an inspiration, Britten being one of the best examples in English music, they see his treatment of folk song as a big legacy. DH: Now I’ll bet that Edgar Varèse’s Density 21.5 for Solo Flute has been in your repertoire forever. JS: I’ve known about it, studied it, and taught it for a long time, but I’ve never actually performed it. I’m loving it. I think it’s fantastic. It’s a piece that’s really about the Machine Age, about the wonders of what can be done with industrial production expressed in art. 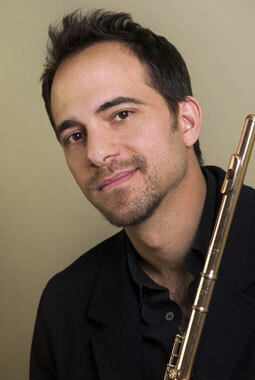 Suddenly the flute is able to be strongly charismatic. As square and as tightly composed as the piece is, Varèse is able to represent shifting layers of color. I don’t think I had really thought of it as a very colorful piece until I started working on it, but it really is. DH: You’re ending with Claude Debussy’s Violin Sonata in g and Zoltán Kodály’s Duo for Violin and Cello, Op. 7. JS: Along with the Berg, those two pieces are what you would think of as high points in chamber music of this era. The Debussy is actually the last piece that he finished. He draws on life — its sweetness, fire, humor, nostalgia, fantasy. He hated to be called an Impressionist; he was more about symbolism. But Debussy explored in his music the Impressionists’ idea of shifting light, and that’s one of the things that made him a modernist. Then, in an Eastern European folk way, the Kodály bookends the Janáček that we started with. Hopefully this program will be as fun for everybody to work through and to listen to as it has been for me to connect the dots. 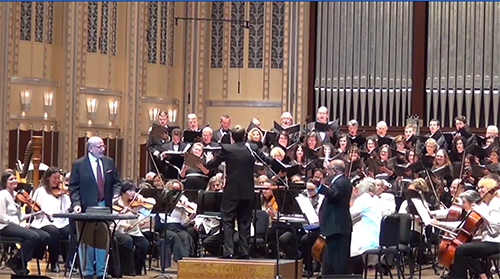 Published on ClevelandClassical.com January 26, 2016.